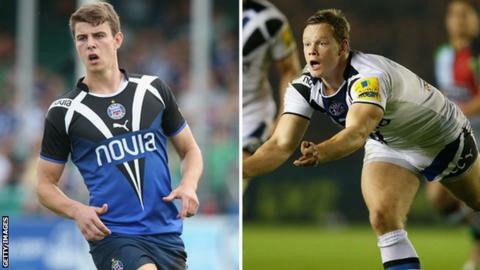 Cornish Pirates have signed two more Bath players on dual-registration deals ahead of Friday's transfer deadline. The Penzance-based club have recruited 21-year-old scrum-half Chris Cook and 19-year-old utility back Ollie Devoto. Bath teammates and were already available under similar arrangements. "Our relationship with Bath Rugby has grown stronger as the season as gone on and long may it continue," said Pirates head coach Ian Davies.